Shakespeare: King Lear – a Thatcherite play? 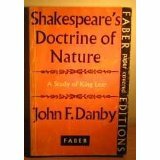 It was the tidy-up, and coming across Danby‘s book on Shakespeare’s Doctrine of Nature, that sent me back to King Lear, which I haven’t read for many years. There was only one opportunity to teach it as an A Level text, many years ago, after which it largely disappeared from the syllabus, another of those texts perhaps deemed too difficult for most sixth form students… Certainly, the madness scenes do take some unravelling. I’ve only ever seen one, rather poor, stage performance of the play. 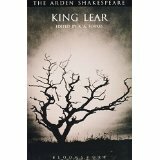 My perspective on King Lear has certainly changed over the years: this time, I had a much stronger impression of the chaos the kingdom immediately falls into as soon as Lear gives up his regal powers to his daughters, whereas in the past, the sense of it’s being a purely family conflict had been more powerful. There was also a sharpening, for me, of the sense of loss of control over his world by an ageing man, and the vulnerability of his mind to disruption and madness. And I found myself thinking ‘Thatcherite’ every time Edmund, Goneril or Regan outlined any of their plans or ideas: there is no such thing as society, what I want I will go out and take, no matter who gets trampled along the way. I was quite shocked, initially, to find myself reacting like this, but as I persevered, the adjective made more and more sense. And the last time I taught the play, Thatcher’s reign was only halfway through! In the early stages, the younger generation’s way of dealing with their fractious and cantankerous father seemed almost reasonable, until it came to abandoning him out in the storm; then the true, harsh and unfeeling nature of their behaviour was patent. A bit like the cheese-paring of benefits currently going on, not really noticeable by outsiders until the foodbanks are widespread and despairing claimants are taking their own lives… then suddenly we are outraged, and wonder how things got to this, as well as asking ourselves just what sort of a person could do this to another human being? Chaos and strife do beset the kingdom instantly; the nasty party are almost at once at loggerheads with each other, the daughters colliding with each other against their father at the same time as scheming for advantage and for Edmund’s body – again, this hadn’t been quite so foregrounded las t time around, at least not in my memory of the text. I found it a very powerful and convincing portrayal of the incipient and developing derangement of Lear, with the moments of sharp and tragic lucidity interspersed. Somehow the jarring nature of the Fool’s frequent interjections heightened the sense of madness, as well as the king’s suffering. 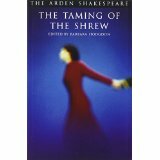 And I was struck by just how masterly the whole flow and structure of the play is, with its various sub-plots so skilfully knit together. 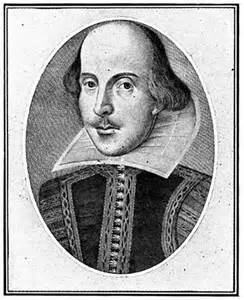 It was a play that could move me to tears when I studied it, and still can, I found: I remember now why I always used to say it was the best of Shakespeare’s tragedies.